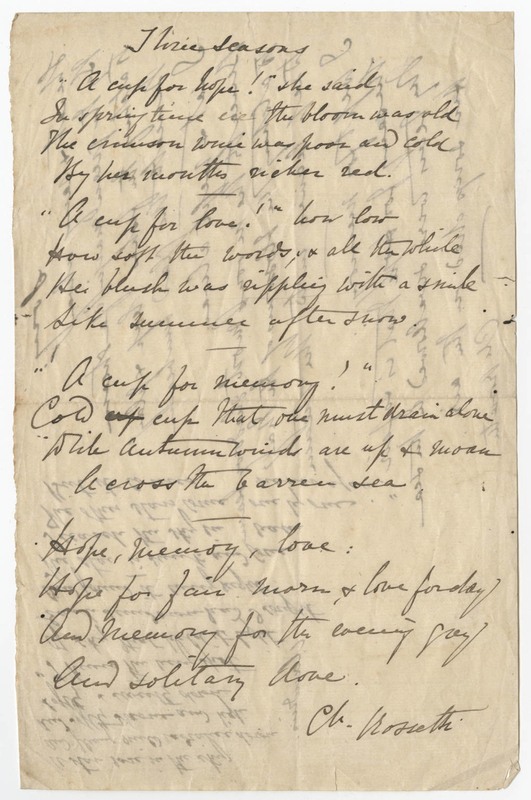 Towards the end of her life, Emily Dickinson began to write on envelopes, many of which were already used or addressed and unsent. Working at these odd angles allowed her to experiment with form, like in the above "Afternoon and the West," and might be a good experiment if you find yourself stuck. 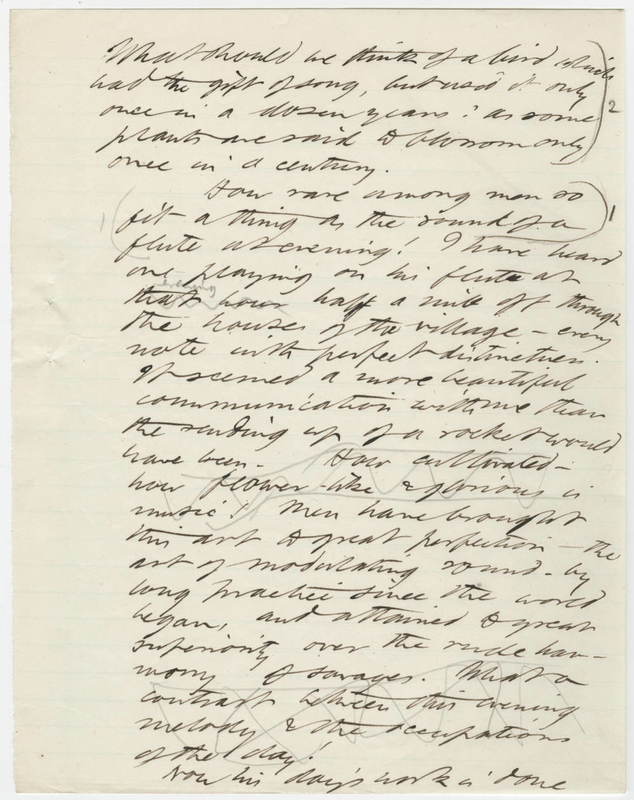 Whitman seems to have typed this draft up on a piece of used paper to see what it would look like. His revisions are pretty minor, but significant, like changing "Leave you not the little spot," to "O the bleeding drops of red!" Doyle's meticulously neat edits on "The Adventures of Devil's Foot," one of his favorite Sherlock Holmes stories, are honestly kind of putting me to shame. But if you look closely, you can see he's writing on ruled paper! Dickens, on the other hand, wasn't such a big fan of orderliness. The next time you feel bad about your notes, please remember this description of a mental hospital, which is mostly crossed out in two different ways! "Enoch Arden" is a narrative poem that was published while Tennyson was England's poet laureate, but it looks like inspiration strikes regardless of whether your personalized stationary is around or not. By this point in her career, Gillman had gained notoriety for her satirical poems, like the one above, as much as for "The Yellow Wallpaper." Still, her note at the bottom ("Please be sure it doesn't get printed.") is...relatable. Thoreau once wrote to The Atlantic's founding editor when someone struck a sentence from one of his essays, so, it's natural that he'd be hesistant of any major changes. In this journal entry, his main gripe seems to be deciding between using the word "flute" or "clarinet." 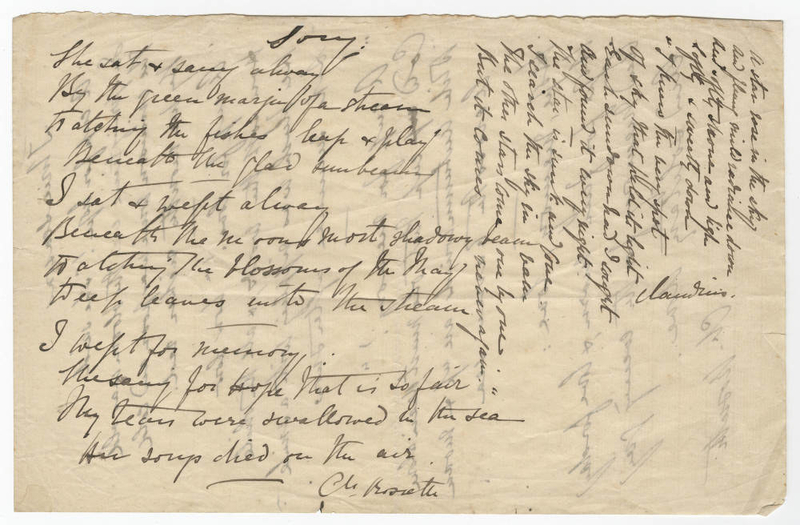 Crowded on the back of Rossetti's poem "Three Seasons" are two lesser-known poems that it seems she never published: "Song," and an untitled poem. James' A Light Man was first published The Galaxy magazine, but was heavily revised and reprinted in a later short story collection. Here's a look at some of those heavy revisions, including hurried notes about the merits of his protagonists, previously left out of the original. 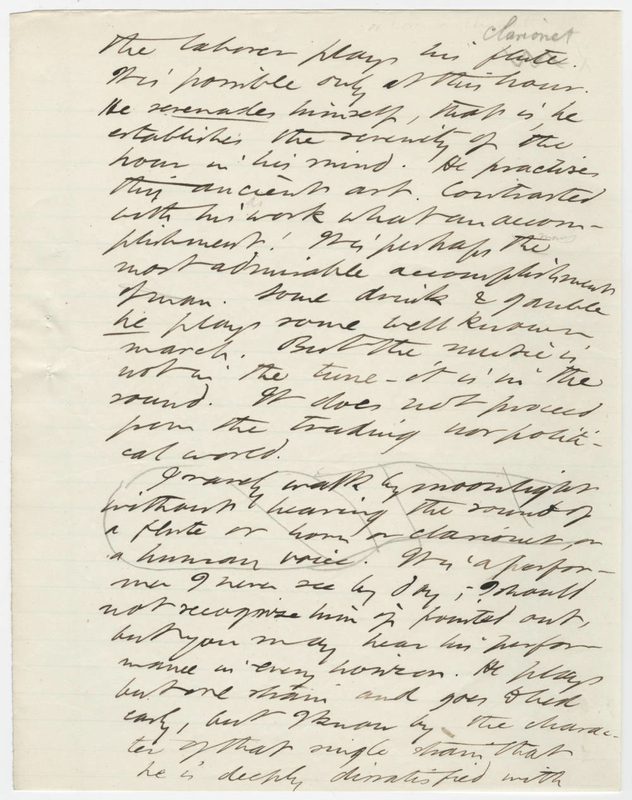 This draft of Keats', written on a small slip of paper, contains a verse from "Isabella, or, The Pot of Basil," which differs slightly from the published version, proving that you never quite stop revising. 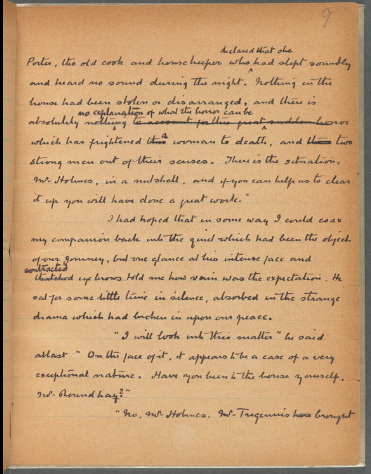 Conrad's preface to Victory talks about his discomfort using the word as a title during World War I, and his hesitancy shows in his edits. He crosses out a line about removing the title with one about "altering" it, and wavers between being scared of "misleading" or "deceiving" his audience. Wilde wrote this essay on socialism in 1891. Here he crossed out the line, "They try to solve the problem of poverty, for instance, by keeping the poor alive; or, in the case of a very advanced school, by amusing the poor," which would make it into the final draft anyway. Sometimes you don't have to kill all your darlings. This is actually a verse from his poem "Amalfi," published in 1875. The lesson here: Be your own biggest fan. 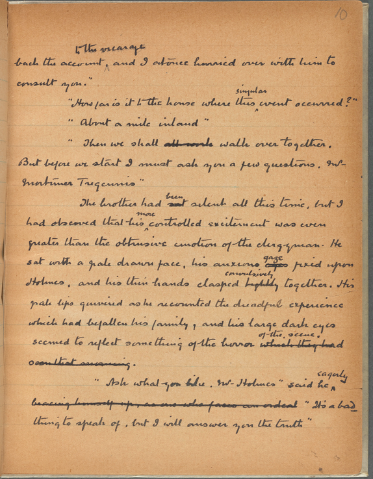 * Langston Hughes' edits to "Portrait of a Woman: Harriet Tubman"